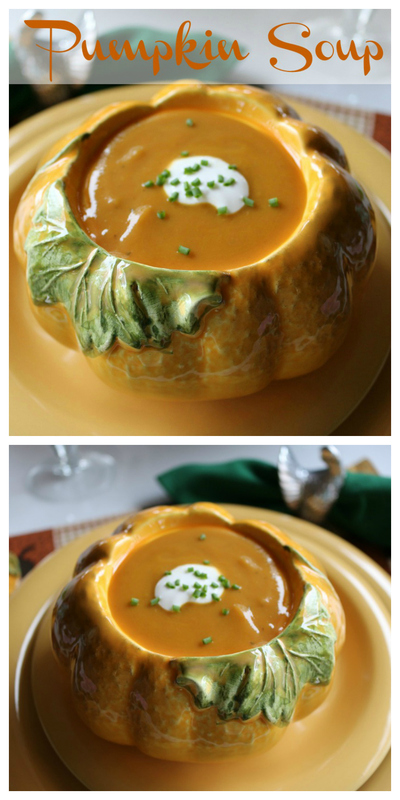 Easy and delicious Pumpkin Soup a perfect appetizer or addition to your Thanksgiving menu. It is a healthy recipe and is gluten free and dairy free. 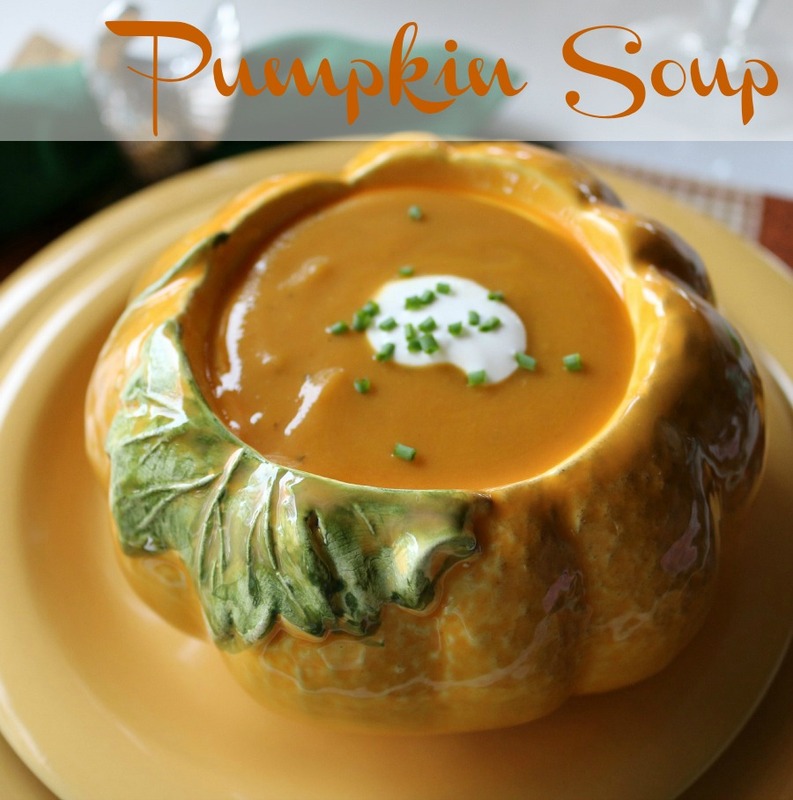 In crock pot add chicken stock, onion soup mix, pumpkin puree, butter, ground ginger, garlic powder, rubbed sage, ground cumin, Worcestershire, salt and pepper. Mix well and cook on high for four hours, blend with an emulsion blender. Serve with a dollop of yogurt and garnish with fresh chives. 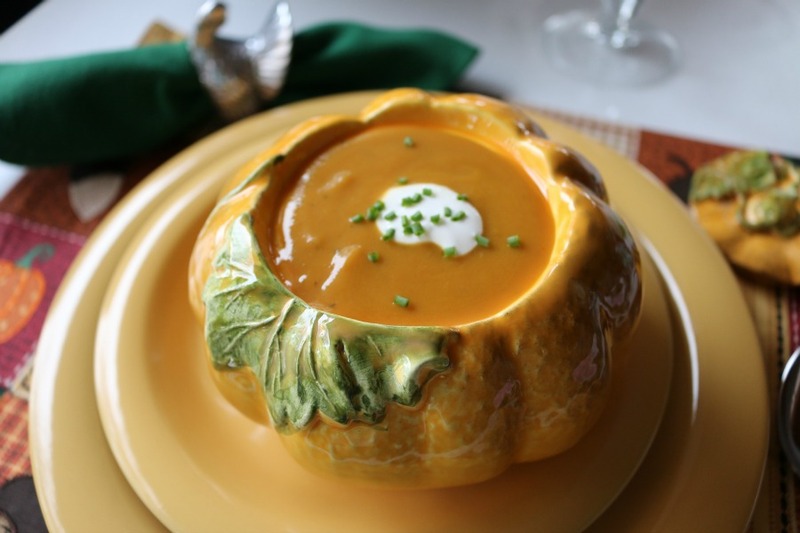 Pumpkin Soup would make a great light lunch or perfect for a brunch. This soup will make you come back time and time again. The ultimate healthy comfort food. 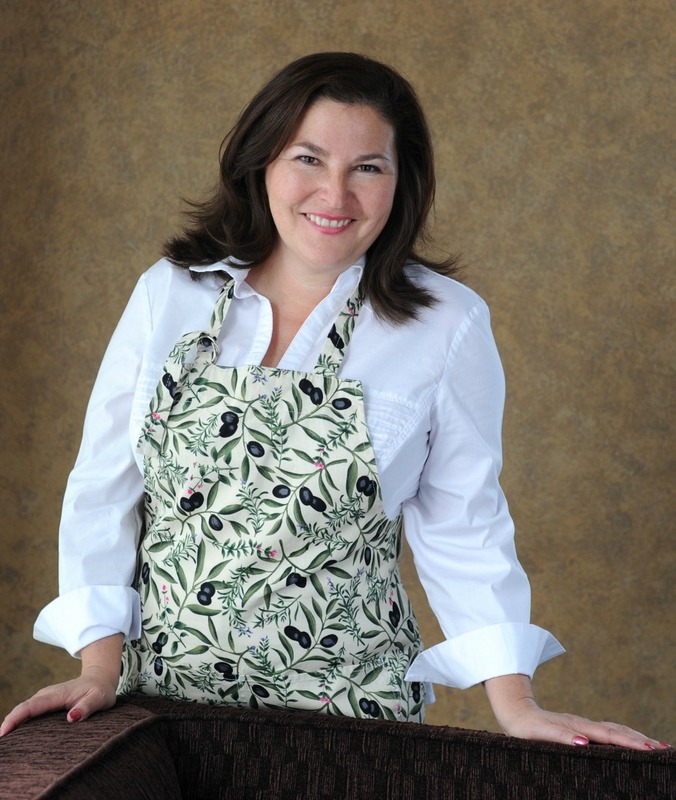 This is an easy crock pot recipe that would be the perfect starter for your Thanksgiving meal. 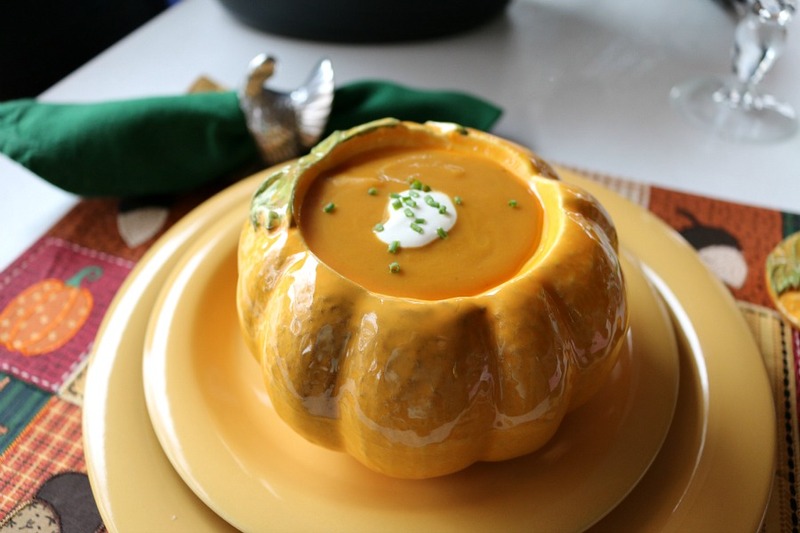 Perfect for Fall or your Thanksgiving Menu. This recipe for Pumpkin Soup is sure to please your family and guests. 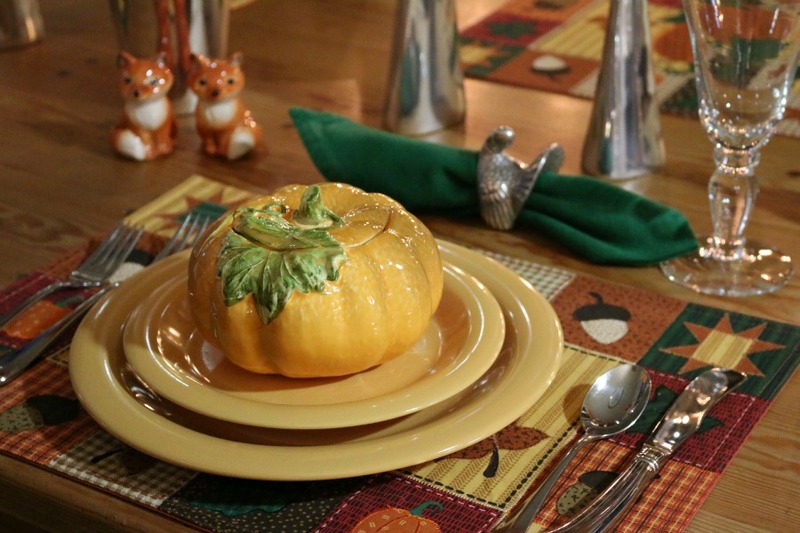 I love decorating for the holidays and Thanksgiving is no exception, I am playing with ideas for the dinning table and thought it would be fun to share some of the images with you.